With his son’s name dominating the news cycle, LaVar Ball has inserted himself back into the public. 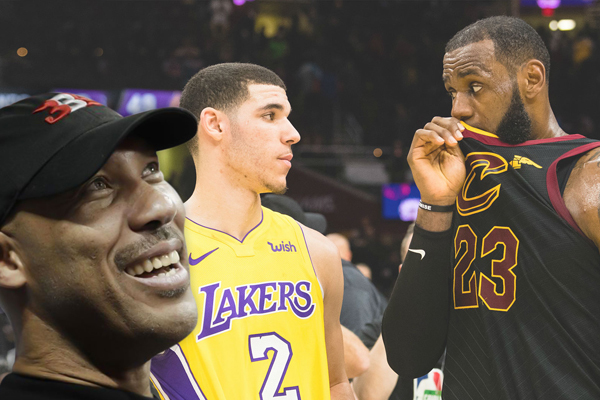 He then criticized Magic Johnson, saying he had no decision making power, that in fact he was just the face of the organization and that Jeanie Buss was the one making the decisions. Lonzo hasn’t become the star he was expected to be. He is currently sidelined with a sprained ankle, but prior to that was averaging 9.9 points, 5.3 rebounds and 5.4 assists, obviously no where near the player LeBron James is. But LaVar is back like he never left and if the Lakers are going to use Lonzo as trade bait, LaVar will do or say anything to get his son to a destination he wants, even if it means alienating multiple teams in the process.